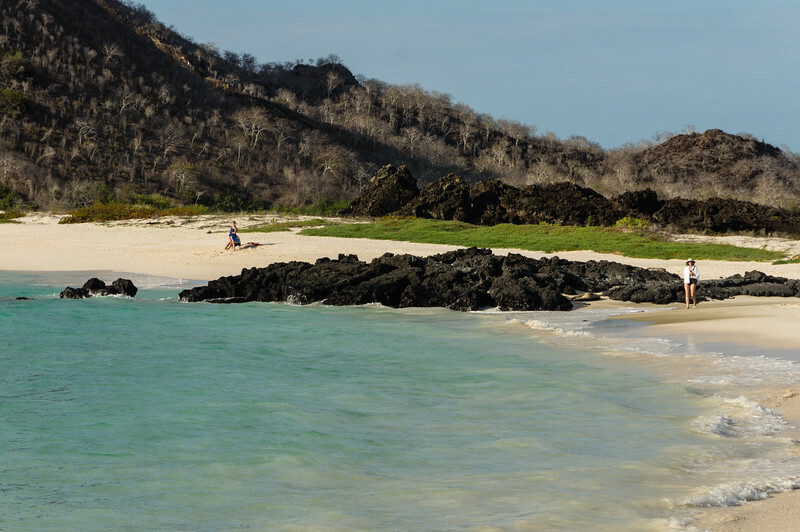 This beach is near the Cerro Brujo hills of San Cristóbal Island in the Galapagos. The sand is as soft as it looks, and we hiked barefoot along this beach. That is Barbara in the white shirt.